At a time when some women are advised to take it easy, Amy Nelson had other ideas. While pregnant with her third child, she quit her job as a corporate litigator, raised money and started her own business, The Riveter, a “female-forward” workspace in the Seattle area. Named after the iconic Rosie the Riveter, the shared workspace focuses on community-building among women entrepreneurs, freelancers and other professionals. 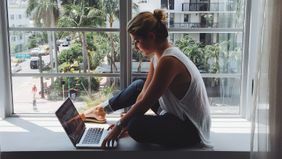 Now with locations around Seattle, Los Angeles and eight more spaces in the works, The Riveter runs programs to help entrepreneurs with everything from fundraising to social media strategy to writing business plans. The space also hosts wellness, self-care, yoga and meditation workshops. Much of The Riveter’s mission stems from Nelson’s own experiences in corporate America and as an entrepreneur. Here, she shares what drove her to help professional women overcome career obstacles of all kinds. Questions about my career took on more urgency once I became a mother. Suddenly I was viewed differently. My commitment to my work was questioned just because I was a mother and primary caretaker. During my second maternity leave, my boss left for another company. I asked to be moved up but was told it wasn’t a good time because I had just had a baby. I had been at the company for a year and a half. They trained and on-boarded me, but then told me I didn’t have a path to advancement. I know my experience is not unique. One thing that struck me was a Harvard Business Review report that found 43 percent of highly trained professional women off-ramp after having children. I don’t think they set out to build a career they would leave. The system is broken. I didn’t want to stay in a career that didn’t acknowledge the rest of my life. You can work and have a family if you make different choices. That’s when I knew it was time for me to leave and work toward a better solution. I knew I wanted to work with women, but I wasn’t sure what I wanted to do. Being a type-A kind of person, I took some business classes first. The classes were held in co-working spaces. I was floored — I had worked on Wall Street and in corporate offices that were all built for men, but why were communal workspaces built for men, too? The majority of members were men, and many offered foosball and video games. That's why I came up with the idea for The Riveter. I wondered what would it look like if you built a co-working space with women in mind first — not a gender-siloed space, but just a space that actually thought about women. It turns out, it's not necessarily the physical space but the programming that really provides a valuable resource to women — like a focus on wellness and helping in particular areas of the business world, like fundraising. 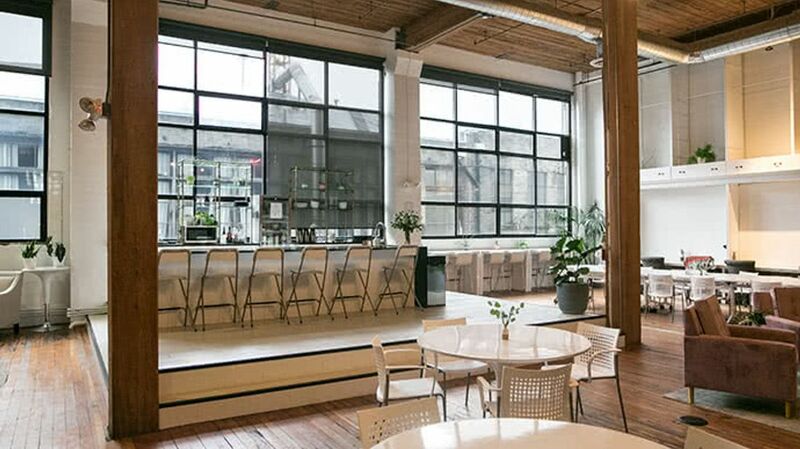 What does a co-working space look like when it actually considers women? Amy Nelson wanted to find out. Fundraising was a really interesting experience. I was pregnant with my third child at the time, and some people advised I hide my pregnancy. But I didn’t want anyone on my team that was not OK with me being a mother. Most of the people I talked to were men. There was a tendency for investors to end the conversation with, “You should talk to person XYZ, a woman investor.” I tried to impress on them that men can fund this kind of idea just as well, because it’s a strong business model — no matter who was behind it or whom it was for. In 2016, women got 2 percent of VC funding dollars. That’s just shocking. It’s a huge miss. We consider our programming female-forward to acknowledge that things are different for women when starting a business — like fewer resources for fundraising. We bring in business officers, have VC office hours and pitch clinics to help narrow that gap. The two things I most value are hustle and heart. We’re building something very mission-oriented. You have to believe in what you’re doing. People often ask me, “How did you end up starting a business while pregnant?” But the answer's pretty simple — I made the decision and went full-time. If you’re able to jump into it and do it full-time, it’s a powerful thing. The other thing I have found is that women entrepreneurs want other women entrepreneurs to succeed. There is room at the top. They’ve always given me the time. Just ask for help, ask for advice from women who have done it before.